You are probably fed up by Galaxy S6 and HTC One M9 concepts, so let’s turn towards a relatively young company today and their future flagship. I’m talking about Meizu and their upcoming MX5 smartphone, that has been rendered below. We’re dealing with a concept created by uva7 dance, who has produced several interesting Xperia designs in the past. This model is actually a Quad HD phablet with 4 GB of RAM and 64 or 128 GB of storage. It has an Exynos 7 Octa processor, a 22 megapixel main camera with Sony Exmor RS sensor (IMX230) and a 5 MP front selfie cam. Stereo speakers are included, as well as a 4000 mAh battery. The Meizu MX5 measures 6.4 mm in thickness, well 6.9 mm with the camera and packs 2 nano SIM card slots and a micro USB 3.1 port. 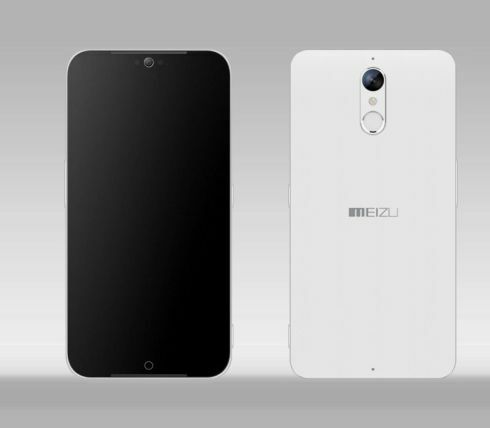 The design is rectangular shaped, with rounded corners and an almost bezel free screen. The camera is center placed like on the HTC One M9 and the front side speakers also remind me of that model. The back camera setup with the physical button (or whatever that is) feels like the LG G3 and the latest ZenFones from ASUS.